Do you have a hundred and one things on your mind? Your job, family, pet, home, friends – sometimes it seems too much. That’s not even including the little things we have to do like cleaning, buying groceries, washing the car. Our modern lives are so busy we hardly stop. After having a spring clean, the last thing you want is all the junk you’re throwing out to just sit there but hiring a skip is just another task on the list. This is where our Greenford rubbish removal service steps in. 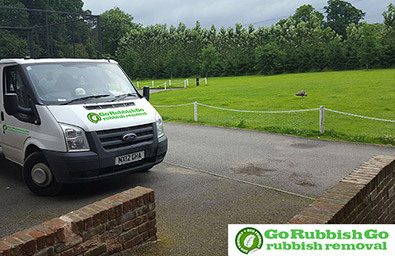 Simply call Go Rubbish Go on 020 8610 9182 now and we’ll come and collect your waste and dispose of it properly so you don’t have to. Get the best waste clearance UB6 service in the region! Some companies will try and charge through the roof in order to make a profit and in the process, leave customers out of pocket and disillusioned. We aren’t one of these companies. We understand that everyone, especially in London, is on a tight budget and we respect our customers. We therefore offer you unbelievable deals in comparison to other waste collection Greenford companies, who just want to make money. Give us a call on 020 8610 9182 and we’ll hook you up with the best deal for both your situation and budget. We don’t believe in delivering anything but the best for our customers. 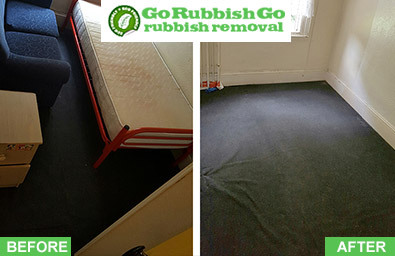 Therefore, no matter what your budget is, you’ll still get a professional UB6 rubbish removal Greenford service from beginning to end. You may be wondering if you can just hire your council to come and collect the mess for free. However, there are boundaries and limits within their waste collection service in Greenford. For example, you may live outside their boundaries; you may have already used their rubbish disposal UB6, Greenford service the allotted amount of times or you may have more items than they’re willing to take. We have no limitations to what we can take or how many times we can visit you. On the other hand, a skip is expensive as you have to hire it by the day. Often one day will turn into two or three, especially if you’re loading heavy items on your own, and you’ll end up pay extortionate prices before having it taken away. With us, our Greenford rubbish removal UB6 team do the heavy lifting so you don’t have to. We come in the UB6 district and load you waste onto our vehicle, then take it away straight away without any fuss. Real professionals! The waste disposal service I received was amazing! They helped me free my home from all of the items I didn’t need any more. I felt comfortable with them around because they were very nice and friendly to me and my family. Perfect company in Greenford, UB6! Leave the hard work to Go Rubbish Go. 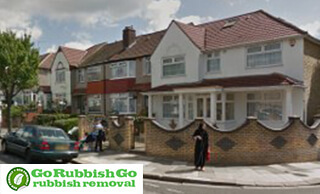 Our UB6 waste removal Greenford team have years of experience in the UB6 area so will use this expertise to do our job. 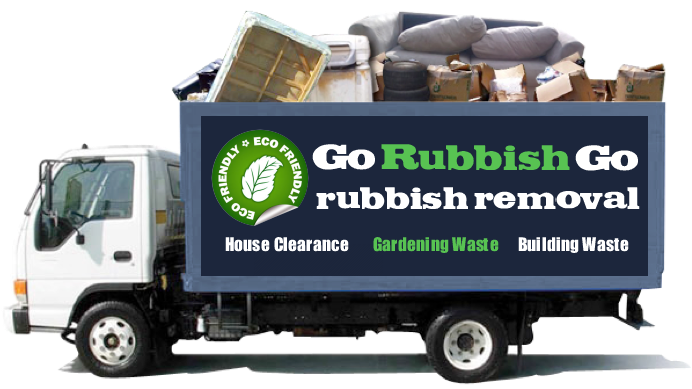 We can get to your address as quickly as you need us and dispose of your rubbish adequately. Our knowledge of the Greenford area means we’re fantastic for urgent rubbish removal because we can find you in record time. Our experience in the industry has also taught us that overcharging customers isn’t professional and won’t keep customers coming back time and time again. This is why we give the best prices for waste clearance in UB6 and won’t charge you over the odds to take your waste away. What Makes Our Greenford Waste Disposal Services Unique? Unlike a lot of rubbish removal Greenford, UB6 companies, we use our knowledge in the field to give you a better deal, not a worse one. We know that a happy, satisfied customer is the best way of keeping people coming back and overcharging or giving a shoddy service isn’t part of that. We want to be known as a professional company who treats its customers with respect, now a cowboy establishment who dupes you. In London, the latter is unfortunately very common. Therefore, we have to do our best to shine through and get to customers before they do. These Greenford waste removal UB6 companies have poor business practices and not only overcharge but don’t dispose of waste properly – sometimes not even legally. However, you can rest assured we do. 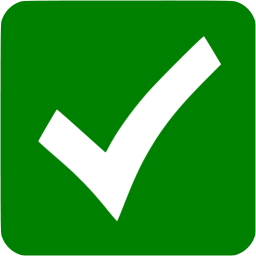 If you’re in any doubt, call 020 8610 9182 today and speak to one of our experienced team. Greenford is a large area located in West London within the London Borough of Ealing. One of the most famous landmarks in the area is the Horsenden Hill – a hill and open space 279 feet above sea level. The largest park in the suburb is the Ravenor Park. The annual Greenford Carnival is held there. Another place of interest is the Greenford Heritage Centre where one can see a great collection of different household items which were used in every single British home and garden in the past. The London Motorcycle Museum is also based in this area. Some of the places located near Greenford include Yeading, Perivale, Sudbury, Wembley and Harrow.